How large/small is your fulltime budget? 1. What is the typical total amount of all living expenses for a year on the road? less than $10,000 per year. $10,00 or more but less than $20,000 per year. $20,000 or more but less than $30,000 per year. $30,000 or more but less than $40,000 per year. $40,000 or more, but less than $50,000 per year. $50,000 or more, but less than $60,000 per year. $60,000 or more, but less than $70,000 per year. $70,000 or more, but less than $80,000 per year. $80,000 or more but less than $90,000 per year. $90,000 or more but less than $100,000 per year. $100,000 or more annual expenditures. It has been a long time since we had done this sort of general poll but the cost of living on the road is always one of the concerns that those who contemplate taking up the life must consider. While it is a very individual thing and is influenced by lifestyle, domicile, and a host of other things, I still believe that there is value to the researcher in knowing a range of what most other people find to be sufficient. Before we returned to part-time we posted our annual budget and while it is still available, it is also becoming outdated. How about folks here anonymously sharing the total amount they spend in a typical year of travels on the road? I ask that you simply lump in everything you spend with exception of any RV or vehicle payments, savings plans/investments, or other optional expenditures. If you have some expense that is likely unique to your situation, please also leave that out. Since this should be a general figure it isn't critical that each of us combine the exact same things into the numbers or that they be totally accurate. Lets just do our best to give those who are new to the road some idea of the range in actual expenses incurred in a year of travels. If you wish to post some general information about your response or more specifics to your budget, that too might be helpful but nothing is expected or required. Because we have now been part time for nearly 5 years, I am not contributing to the poll as I hope to keep the information current. Thank you in advance for your assistance in helping others to life on the road! Over the past 3 years we're averaging just under $40K. That includes everything from new tires to church giving. I ask that you simply lump in everything you spend with exception of any RV or vehicle payments, savings plans/investments, or other optional expenditures. If you hae some expense that is likely unique to your situation, please also leave that out. Just to clarify... you're asking for "nut" budget figures, right? 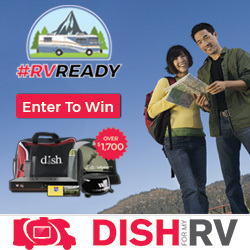 Just what's necessary for day to day travel/life, lodging, maintenance, etc. Minus any 'optionals' like entertainment, donations, upgrades, etc. Ie., include things like internet, cellular, satellite, clothing budget, eating out, etc., but exclude entertainment/sightseeing, donations, one time costs.. like a roof replacement, etc? Just so everyone is on the same page. Why the big range from 50-75K? All of the others were 10K range, that one is 25K. Good question. I read it to mean everything except indebtedness. And, what is included is always the problem in asking or responding to this question. For instance, if people are work camping, are they including value received or just reporting $0 for camping expense? Then there are intangibles like "free" health insurance via a previous employer that don't make it into the reported expenditures. If the idea is to collect information for those researching the lifestyle, then some level of standardization is probably needed or else the amounts don't tell us very much. However, if enough people answer, then, even without some of these concerns being met, a general average can be found. As I said in a thread earlier this year, I think the average retired fulltime couple spends about the same amount as any other retired couple spends which is around $41K, although the fulltimers might be just a bit under that. I included everything that we have spent living on the road. Averaged over the 3 years we have been doing so. So this year was truck tires, last year was more tires, year before was buying all the things we needed- thought we did, and found out we did-, etc. Lump it all together and throw it out there. ...And, what is included is always the problem in asking or responding to this question. For instance, if people are work camping, are they including value received or just reporting $0 for camping expense? Then there are intangibles like "free" health insurance via a previous employer that don't make it into the reported expenditures. amount they spend in a typical year of travels on the road? Does moving from one location in the winter to one location for the summer qualify as travel? Does moving from one workamping/volunteer position to another two to four times a year with few if any stops more than overnight in between qualify as travel? I have been told a number of times on this forum that fulltimers really do not travel that many miles. Yet it is my observation that many newcomers considering RVing and asking questions about budget, express a desire to "travel and see this great country". From what I can gather from various topics and posts, we travel more than many on this forum. We rarely stay more than a week in a single location when not at our home base. We have visited all of the lower 48 states and have visited 89 sites administered by the National Park Service. I have not kept track of all the state and National Historic Register sites that we have visited. We have stayed for more than two nights in 41 locations just in New Mexico. Our fuel costs for 2014 and 2015 were $5053.69 and $3192.45 respectively. We did not intentionaly change our travel style between the two years, so most of the difference is the effect of a general reduction in fuel prices of a dollar a gallon in just about every location we visited. 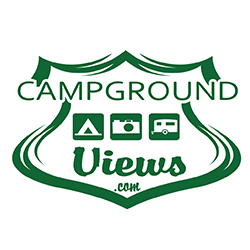 Our campground costs for 2014 and 2015 were $4,363.95 and $3,700.37 respectively for 162 and 148 nights in public and private campgrounds/RV Parks ($26.94 & $25.00/night). Although this survey would give a 'general' idea it would really be beneficial to see a questionnaire where one had to actually fill in numbers and answer questions such as what kind of RV, towing a vehicle, etc. as this makes a difference in fuel costs, etc. so that everyone submits the same itemizing and also some extra questions as to how much you stay in a place before moving on and what type of RVing you do - private parks only, public parks only, boondocking only or a mix of the three. 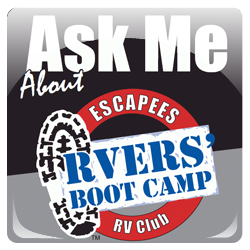 With that additional information a newbie could then zero in on the kind of RVers they are and get a little more realistic idea of cost. I included everything that we have spent living on the road. Averaged over the 3 years we have been doing so. That is what I had in mind. 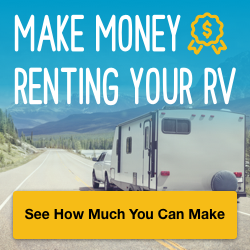 Whatever you spend, excepting payments on an RV or vehicle, since that is one of those things which many choose not do have at all. The idea is that if we narrow things too much it becomes a very personal lifestyle thing. We all spend something on entertainment, hobbies, and a lot of other things. My thought process was that by lumping everything into a single category, we can remove some of the differences from personal choices and preferences. Most of us adjust our optional spending downward when repairs or such are needed but then spend more on entertainment and such when we have a budget excess. It is an attempt to arrive at some very loose ideas on what people spend on the road to live reasonably well and enjoy our travels. My thinking is that it was enough once we reached an annual figure of $50K, and first had that as my upper number as $50k and up. So I did go back and edit the responses to $60, $70, and $80 and up. If you were in the $60K group you may want to edit your response. One has to stop somewhere. As a member just a little older than Xscapers is targeting, I crossed the $50k mark sometime in late May or early June. My Canadian 401k equivalent is well fed, bills are paid as soon as they hit the inbox, and I still don't have pockets full of $$$. I'm not ready to quit yet. While I do agree with you, I really don't know how that could be done via the forums. If there were a way, I'd sure give it a shot. It might be possible to publish a list of questions about such things here and ask others to respond to those items if they have such data available. Otherwise it mean a series of polls with one question each. I'm in the $10k-$20k bracket, but then I'm traveling alone now. I don't think the budget would double for a couple, but would certainly increase some. The $41k for a couple average mentioned, seems very reasonable to me, perhaps even a bit generous. The big variable to me is the difference between "need" and "want". If folks are happy and comfortable with what they need, a $10k budget per person is easy. Difficulty distinguishing between need and want can easily and quickly drive that up. Of course each case is different and special requirements have to be added to the basic budget. My sense is that this survey is looking for the average basic budget and then people considering full timing can just add their "wants" or special needs. Just an observation: Whilst it's early days, it's interesting to see that half of those responding thus far, fall in that $30K to $50K range, which more or less brings it on average target for the suggested $41K, which within plus or minus 10% we've found from tons of our research the majority have fallen into we've spoken with. FWIW and this is hypothetical for the next year: We ourselves are going to budget $4,000/ month to allow a considerable amount of wiggle room, for everything except our savings and taxes, which will be in addition. Because we prefer dry camping/boondocking moreso over CG's - that and our intention to not move as much as we initially thought we would, could see this figure closer to the $3,000/mth, but my psych is I have to have a safety margin over and above in calculations. Also we don't want to be watching every single penny so closely we don't enjoy the highlight of our twilight! Just an observation: Whilst it's early days, it's interesting to see that half of those responding thus far, fall in that $30K to $50K range, which more or less brings it on average target for the suggested $41K, which within plus or minus 10% we've found from tons of our research the majority have fallen into we've spoken with. Without a doubt, the very best writing on the subject of fulltime budgets that I have ever read was a column that I read in Motorhome Magazine way back in 2001, titled How Much Does It Cost and written by the late Gaylord Maxwell. It applies just as much today as it did at the time of publishing. I really think that it is worth reading for anyone who has not yet done so. To try to figure out what it costs, obviously depends on each persons, or couples lifestyle. Also on what material things, or activities people consider important parts of their lives. I'm the type that lives quite frugal, saw down trees and chop my own wood, heat my house for free. Don't really like to cook, so sandwiches and cereal work for me. I think the best way to think of this, is that each person will live best on what they have, and spend what they have according to the lifestyle they enjoy. It's kind of disconcerting (to me anyway) to take these posts as what it takes, because I"m quite sure it won't for me. Things like gas depends of course on how much you drive, gas or diesal, and the type of roads you're driving on. what it "requires" to live full time. Yup. The RVer whose hobby is playing golf will pay more than the RVer whose hobby is geocaching. The RVer who likes to visit a variety of restaurants will pay more than the RVer who prefers to cook at home. The RVer who travels most days will pay more than the RVer who stays at least a month at each place. The RVer who likes parks with lots of amenities will pay more than the RVer who prefers to boondock. 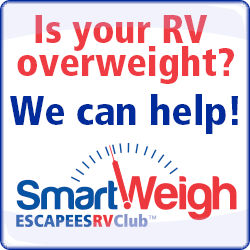 What it will cost you to RV depends on what lifestyle you choose to live. the one thing I really pushed my wife for was to make sure all bills were paid off,so we went into this with only food and other costs you can't do without and it has worked.one thing we did was to practice living on what our retirement was going to be to make sure we could handle it. one thing we did was to practice living on what our retirement was going to be to make sure we could handle it. We went from two good full-time working salaries to retired & gone. Adjusting to living on a fixed income did take some doing. We got there, of course, but it is not to be taken for granted. We did exactly the same as you, starting a bit more than 1 year before we actually left the house. Since our house was not paid off but the RV would be, we did pay the house payment over and above our living amount but we kept all other spending to what we would have after retirement and we put the excess into savings. We didn't do that in one stage however, but started to pare the budget in that direction at 2 years out with that as our target. What we found interesting was that once we were actually retired our budget was not nearly as tight as in that year before since there are expenses associated with a job that most of us do not realize. Our clothing budget was a particularly large drop. And the fuel that we burned to get to and from work was nearly enough to supply fuel for our travels, if you leveled it out over a period of 90 days. Before going full time I made sure we were debt free, except for healthcare, long term care and cell phone. I wanted a minimum of $60k at our disposal to give us flexibility. In over 5yrs. we've never come close to spending that much, I figure we've been doing just fine on about $35k a yr. And we've been from FL., to AK., ME. to CA., and many places in between. We've actually increased our bank account by quite a bit. It gave us the ability to put a substantial down payment on a home we're having built. We will hit $35K this year for the first time. ALL the additional expense is Health Care insurance costs. I had to laugh when I read your comment. Before I retired I was sitting in a retirement seminar and the presenter mentioned all the items on your list. 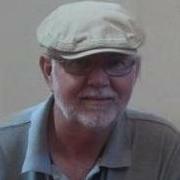 I looked at my t-shirt, jeans, and sandals and wondered what I could do to "lower" my clothing costs in retirement?? There are advantages to being a Forester! Then there was that awful commute of 1/2 mile that I finally got rid of in retirement. In our case, our costs went UP significantly in retirement. That was a good thing. It meant we were having more fun. I looked at my t-shirt, jeans, and sandals and wondered what I could do to "lower" my clothing costs in retirement?? There are advantages to being a Forester! We at least stopped wearing ties a few years before I retired but even then it was "business casual" with only collared shirts and no jeans. Roger on ties! When I retired I took an entire box of ties to the church and put a "free to good home" sign on them. The quilter's group said they could use them for quilting and I gave them all the ties. Hopefully they now make up lap quilts for the folks at the nursing home. If so, they are finally being put to a reasonable use. Dave still has a few ties in his closet - ones our daughter gave to him and he can't bring himself to giving those away. Fathers & daughters.